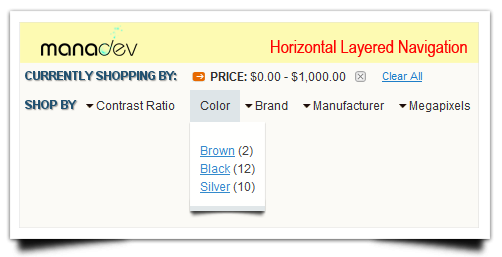 Horizontal Layered Navigation layout and easy positioning from admin panel of both - Layered Navigation and Categories block..
NEW! 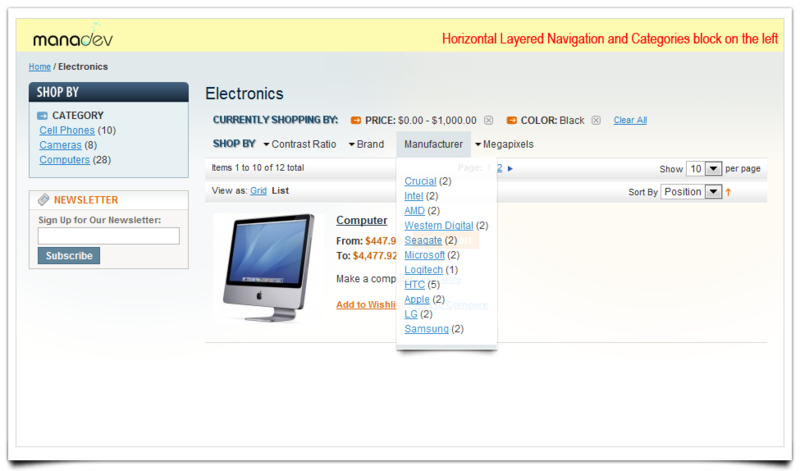 Responsive design ready, filters collapse to accordion type menu depending on screen size you set in pixels. NEW! Responsive Accordion menu type filter template for mobile devices with touch screens. 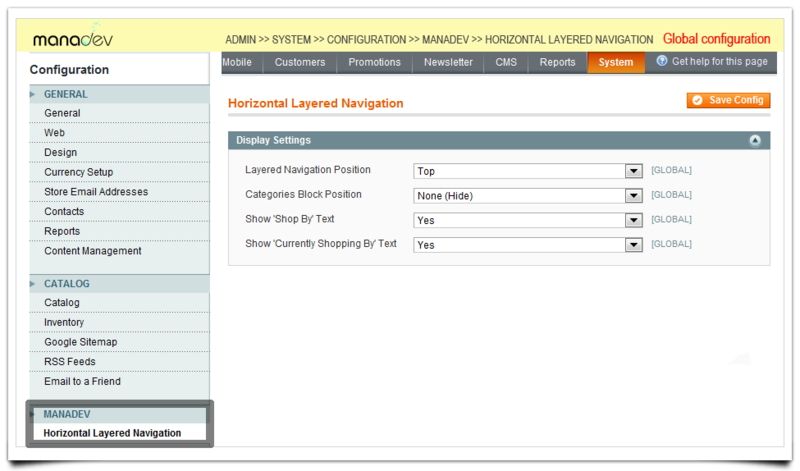 Positioning from admin panel to the left column, top (horizontal) and right column. Show / Hide "SHOP BY" text. Show / Hide "CURRENTLY SHOPPING BY" text. 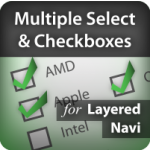 Show / Hide Categories block on the left or right column in addition to horizontal Layered Navigation layout. 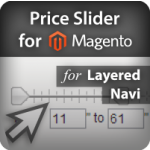 You can easily combine this extension with other our Layered Navigation extensions such as SEO, Ajax, Price Slider, Checkboxes and many more (existing, new and counting).